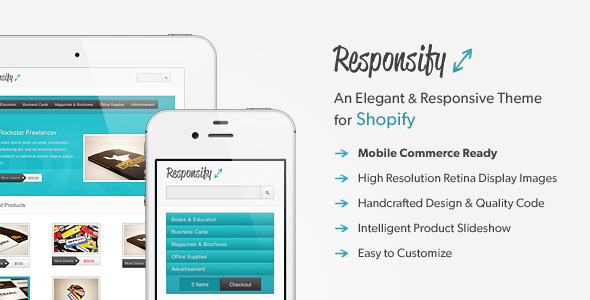 Responsify is a professional, customizable and responsive theme for Shopify which adapts perfectly to the viewers screen resolution and provides a seamless and rich shopping experience on any device. Please Note: If you’d like to preview the smartphone version, please make sure to remove the black ThemeForest frame on top first — otherwise, those devices will just display the tablet version. Every part of the theme seamlessly adapts to your customers screen resolution and device in order to provide a rich and satisfying shopping experience. Just manage your products and theme settings in one place and enjoy how easy it will be for your customers to browse and purchase your products from wherever they might be — no matter if they use a desktop computer, a tablet or even a smartphone! 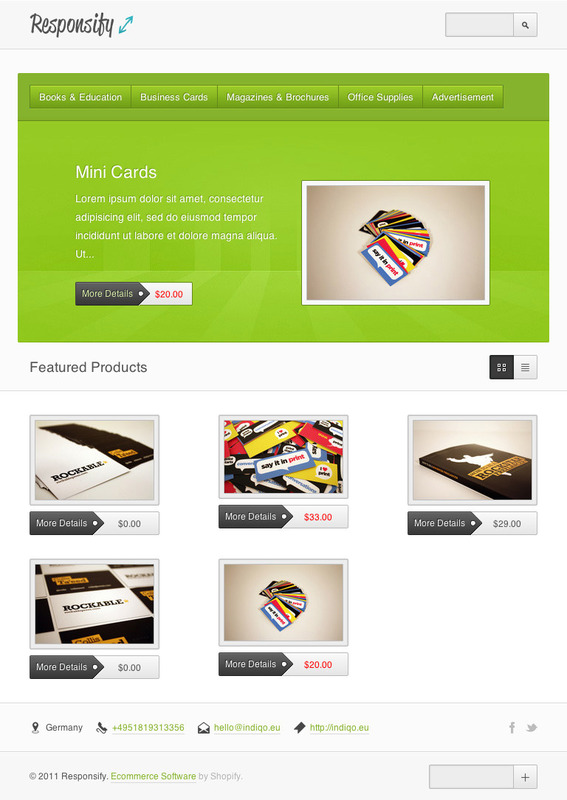 Mobile e-commerce rapidly becomes more and more important these days. Rest assured — with Responsify and Shopify’s mobile checkout process, you’ll be up and running with that in no time. In addition to that, any element your customers can interact with provides appropriate visual feedback which enriches the experience even further, especially on touch enabled devices. 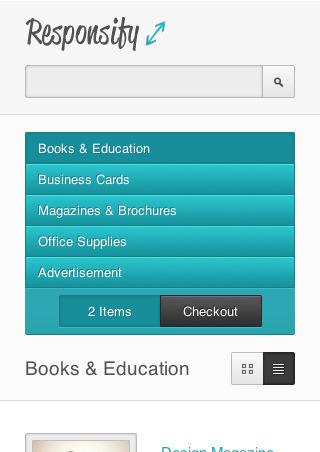 Click here to see a screenshot of the mobile shopping cart. The clean and unobtrusive visual appearance has been designed focusing on simplicity and attention to details. Every element has been carefully crafted and positioned so it creates a professional and reliable impression. 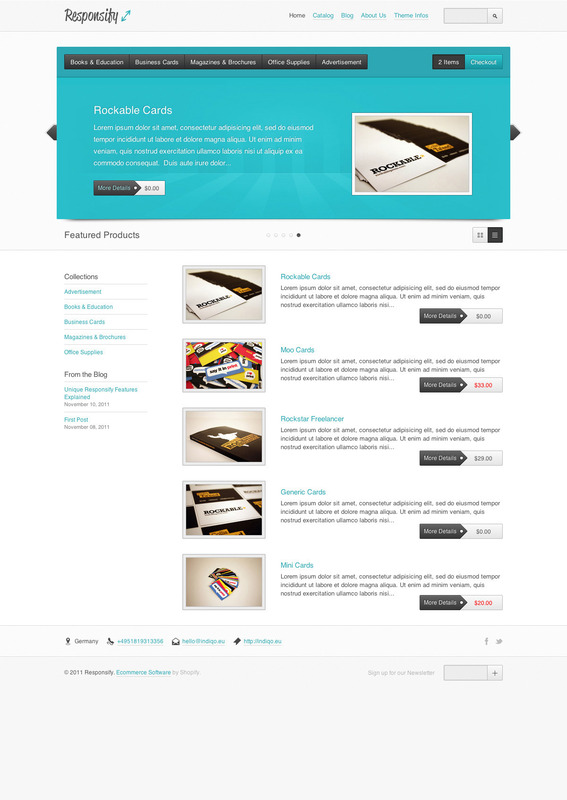 Responsify has been written in HTML5 and CSS3 keeping todays best practices in mind. While looking fantastic in current browsers, it degrades gracefully if significantly older versions will be used. The entire color scheme can be easily adjusted to your needs through the theme settings — no coding experience required. Click here to see how the appearance changes just by altering some color values on the theme settings page. In order to ensure your business really shines on any device, high resolution retina images have been implemented accordingly so everything looks clear and sharp on devices like the iPhone 4 / 4s too. 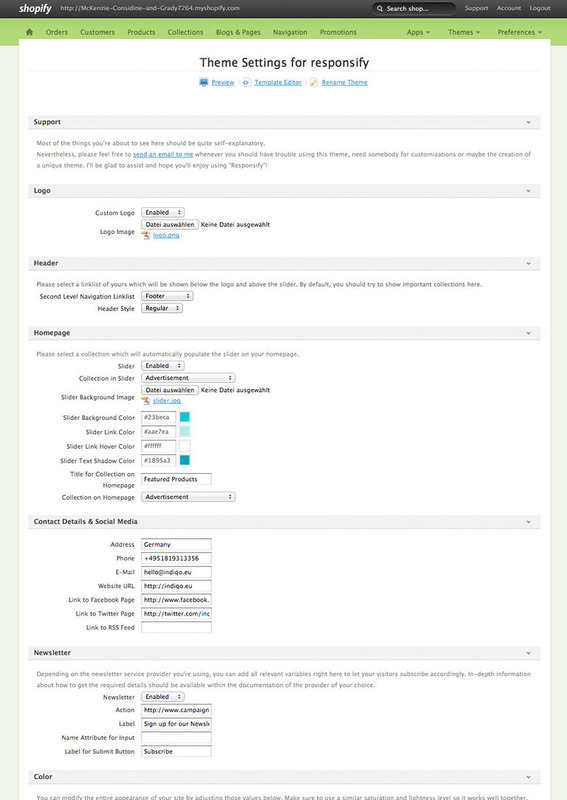 Every bit of text shown to your customers can be easily translated through the theme settings page. Sometimes it’s more convenient to get an overview from another point of view. 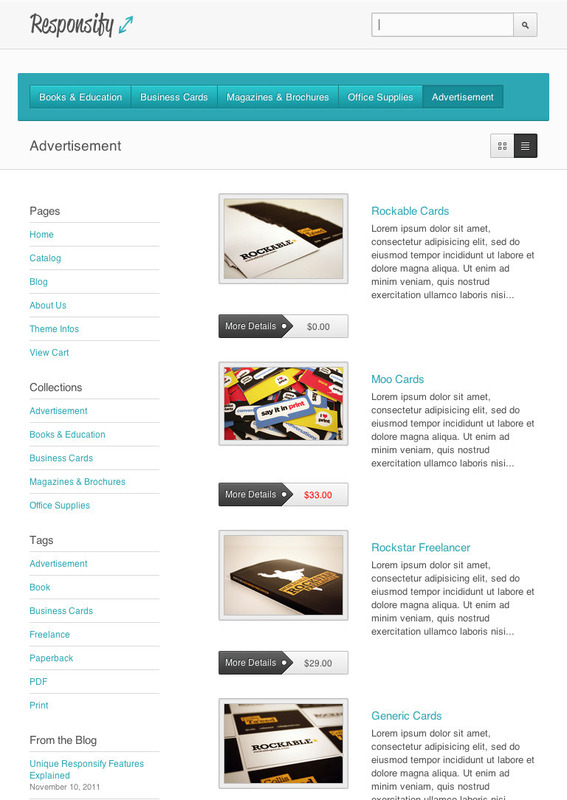 Because of that, Responsify supports a grid and a list view to choose from dynamically. 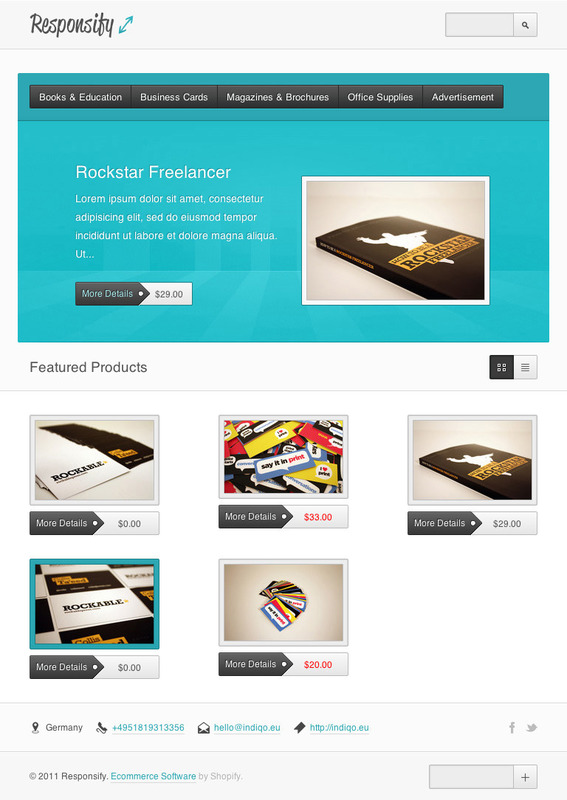 Just select a collection through the theme settings and the slider will display up to 5 products automatically. Easy as that! 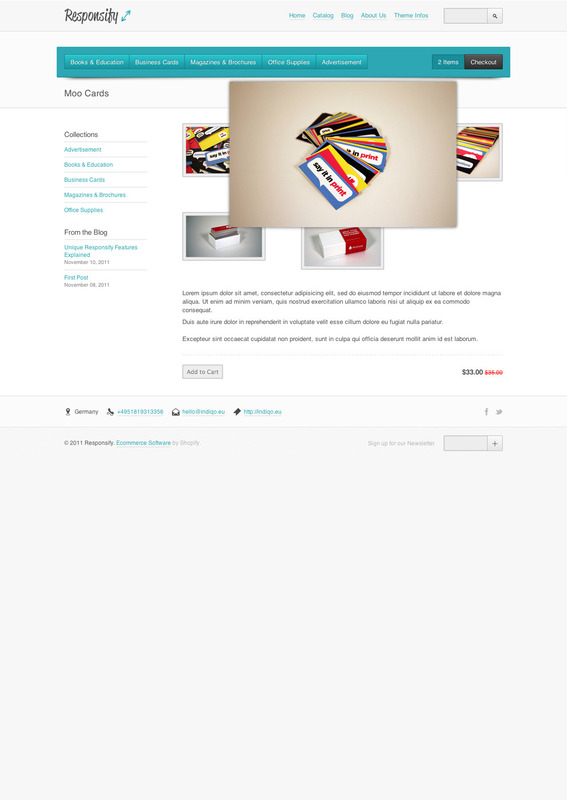 Utilizing the extensive theme settings page, it will be easy to control literally any aspect of the theme including the sliders behavior, the collection shown on the homepage, contact details and social media links, the newsletter subscription at the bottom as well as the color scheme and translation. 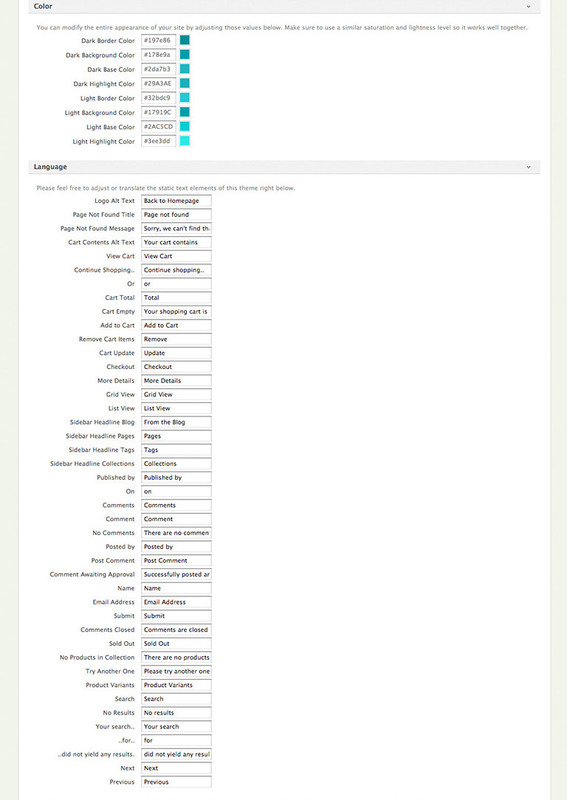 Click here so see a screenshot of the entire theme settings page. To make things easy, all of the features mentioned above can be controlled through the theme settings page without any knowledge required. However, if you should experience any problems or if you got questions in general, you can always send me an email and I’ll be glad to assist usually in between 24 and 48 hours. Note: Product images shown in the preview and screenshots are not included — instead, your own products will be displayed properly. 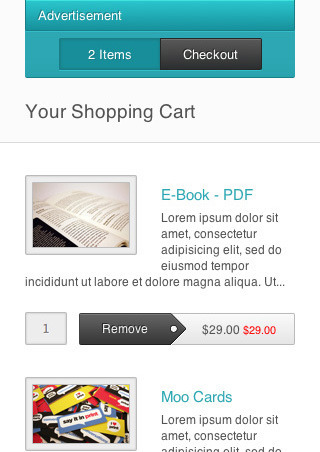 12/01/2011 Cart & Checkout Appearance Improvements.